Published on March 23, 2019 by Rachelle J. Down the TBR Hole was started by Lia over at Lost in a Story. All book covers are linked to Goodreads unless otherwise noted. I will be repeating this process until I’ve filtered out my entire TBR. My TBR pile is holding steady at 685 books. Though I finished a book this week, I didn’t start another one. I’m already reading 3 books right now, with hardly any time to actually read, so I didn’t want to pick up a 4th only to have it neglected. A Dream of Hope and Sorrow by Jonathan Crocker – GO. Like several of last week’s books, this book comes off sounding generic and uninteresting. Call of the Herald by Brian Rathbone – GO. I don’t think the synopsis for this book could be any more nondescript and vague. The Memoirs of Sherlock Holmes by Arthur Conan Doyle – KEEP. This contains all of the stories involving Professor Moriarty. Since I have only ever seen film or TV adaptations of the Sherlock Holmes stories, I’m very interested in reading this book. Anywhere But Here by Jason D. Morrow – KEEP. I started this one last Summer, but then got distracted by other Sci-Fi books. I will pick this one up again, hopefully this Summer. 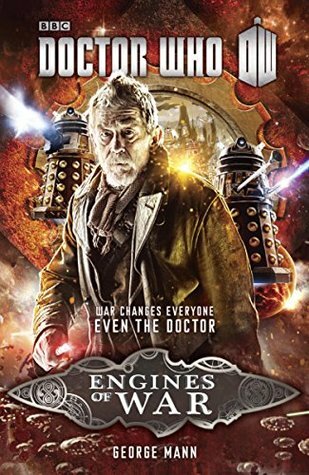 Engines of War by George Mann – KEEP. I would never willingly remove a “Doctor Who” book from my TBR without reading it. My TBR mountain is down to 683 books. I still have a long way to hit my goal for this year, but at least I haven’t added any more books.